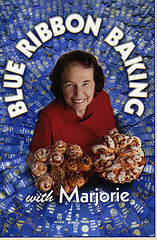 Described as a 4'8" dynamo, Marjorie enjoys spending the entire day baking. Her goal is to continue improving her baking skills. 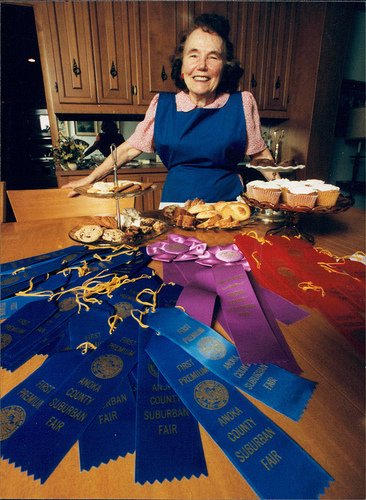 This philosophy has produced blue ribbons at the fair and has helped her win national baking contests. I love entering my baked goods at the Mn State Fair. Now days I enter the special contests at Creative Activities and bake with honey to enter the Ag-Hort-Bee division. I am always there opening day to see what ribbons I have won. I am by the door on Cosgrove Street waiting for it to open at 9 AM. I only stop in the education building to get my picture taken at the education booth. Immediately after getting my picture taken, I go into the Creative Activity building and check on my entries, then I go over to the Ag/Hort building and check on my entries. It is so exciting. I look forward to 2011. 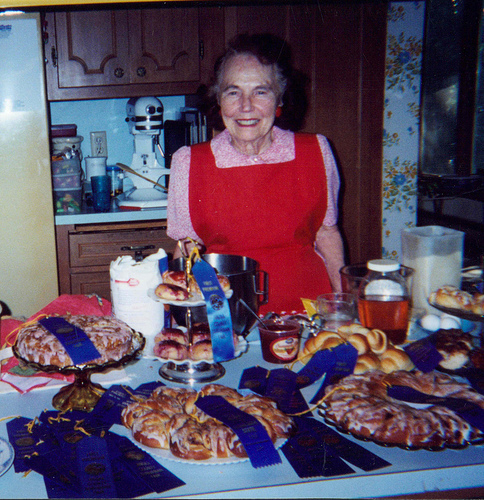 I have won over 2500 fair ribbons including over 1000 blue ribbons and many coveted sweepstakes ribbons. 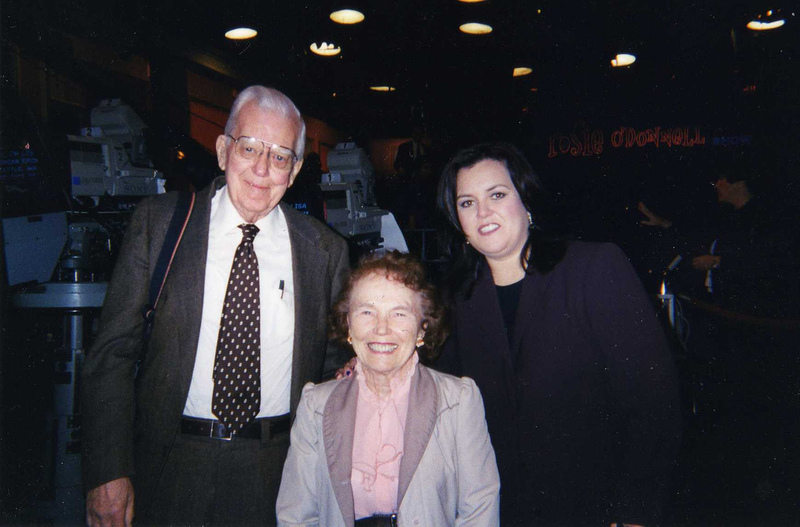 My first national TV appearance was baking with Rosie on "The Rosie O'Donnell Show." Since then, I have also been a guest on "The View", "The Wayne Brady Show", "The Tonight Show" and "The Martha Stewart Show". It's always exciting to be a guest on the Tonight Show. I taught Jay how to bake cinnamon rolls,cookies and cakes. 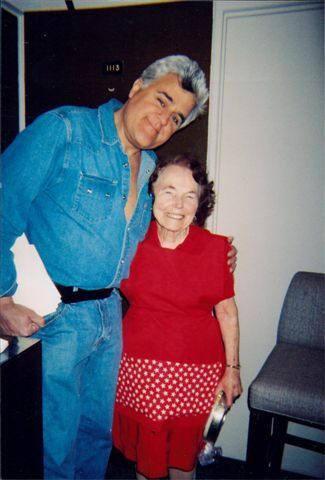 In addition to baking on the show, Jay often sent me out as a correspondent. I just returned from interviewing Suzanne Somers. I was delighted to meet her and enjoyed the interview immensely. She is a very charming, sweet and nice person. To watch my interview with Suzanne click here.